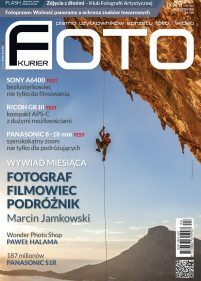 Foto-Kurier is Poland’s biggest monthly magazine for advanced amateurs and professionals, and has been available for more than 15 years. A testimony to Foto-Kurier’s success is the fact that, among Polish photographic magazines, it is the only EISA member. The magazine features columns devoted to new photographic equipment, materials, and technologies, as well as tests and articles about photographic technique and video equipment. It also publishes experts’ opinion, plus information about photographic events and competitions in Poland and all over the world. Foto-Kurier is devoted to end-users of photographic equipment. The magazine is also useful for professionals in the photography industry and owners of photo-shops and mini-labs. However, most of its readers are just fans of photography.